The Internet is filled with videos. You can download some for free, while others come with a price. While the former seems so tempting, we are advising you against it. Keep in mind that copyright laws are real. They aren’t just made to scare you. If you care about your reputation and your profits, you should definitely think twice before downloading free stuffs from the World Wide Web. Luckily, we know a place where you can download free videos without worrying about the copyright police. 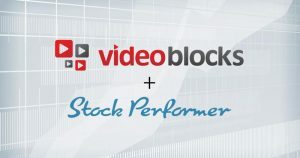 iStock is one the top stock media agencies in the market. It features millions of stock videos in its library. You will surely find what you are looking – from skyscrapers to city views. So, how can you avail of the iStock videos free? It’s simple. You only need to sign up for the website. Every week, the stock media site offers free files – from stock photos to videos. All free items from iStock come with a royalty-free license, so you can use them in any project for as long as you like. If you wish to add an extended license, you may also do so for a certain price. iStock’s collection of videos can be used to tell powerful stories. You can crop, manipulate and modify them to suit your theme and style. All videos, including the free ones, come with a standard license. You only have to pay once to download and use the videos. There’s no need to pay the artists for royalties every time you use their contribution. Finding iStock videos free is easy. Just scroll down to the bottom of the Home Page of the stock site. You will find a highlighted text to join iStock to get free stock files every week. Choose the free video clip to download the featured free footage of the week. What are you waiting for? Join iStock and enjoy high quality, free videos every week.